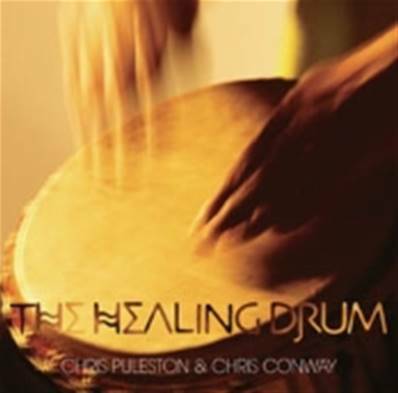 There is no doubt that the sound of drums and percussion has a tangible effect on the human body and spirit. To hear a group of drummers playing together seems to awake something of a tribal memory in all of us.Gongs, cymbals and bells always evoke a feeling of auspicious ceremony. The Healing Drum is not only a wonderful uplifting and inspirational musical journey combining a wealth of instruments and drums, but essentially an opportunity for the listener to join in and play along with their own drum.Chris Puleston includes introductory sleeve notes and tutorial instructions on how to participate on the djembe drum. Open to all levels, you can play along or simply relax and enjoy this outstanding recording. Total Running Time : 49:00mins. Chris Conway - tin, low & twin whistles, keyboards, acoustic & electric 9string guitars, kalimba, voice, theremin, zither, harmonizer, effects.